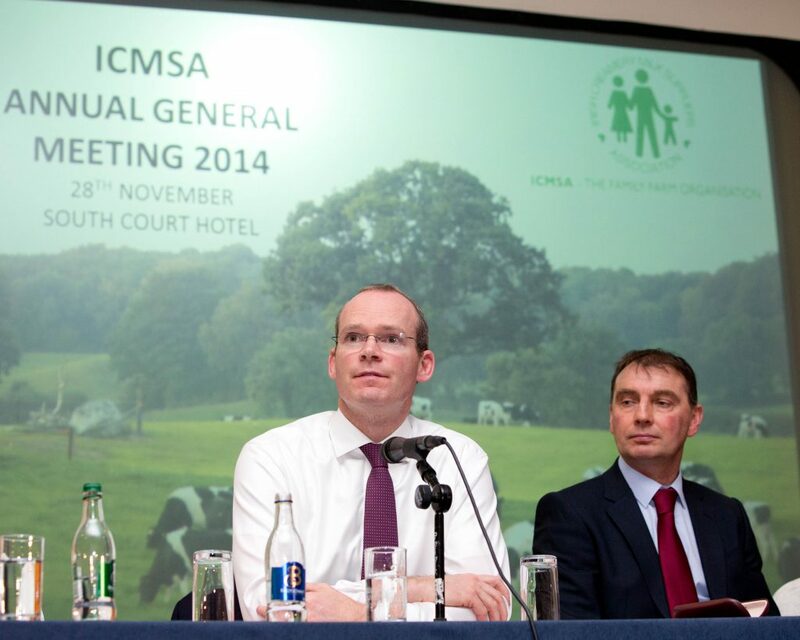 The Minister for Agriculture Simon Coveney and ICMSA President John Comer. The President of ICMSA John Comer, said that his Association has genuine concerns about the fairness and security of the publication of Direct Payment details. He said that there are very well grounded fears that publishing details of Direct Payments would arouse the interest of the kind of criminals who target rural dwellers and the elderly already. Mr Comer said that farmers are not against transparency and openness, they were , in fact, hugely in favour of openness and transparency in, for instance, the whole area of the margins taken by the various components in our retail chain. 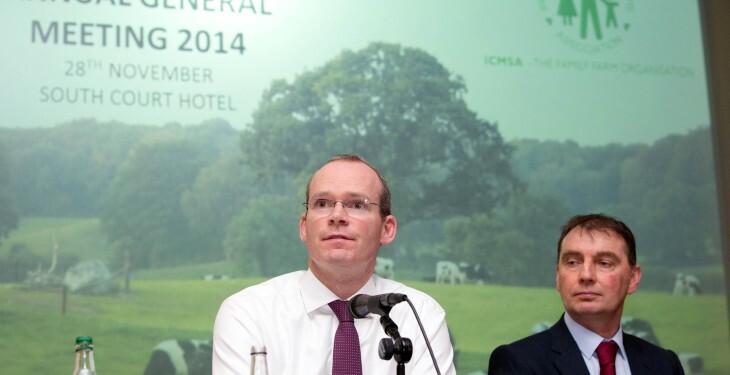 That’s why farmers smile when they hear and read about the need for complete transparency and openness – despite years of campaigning by ICMSA and other farm organisations all across the EU, there didn’t seem to be any will to publish those figures about retail margins. Dealing with the plan to publish the details of Direct Payment, the ICMSA President said that there simply has to be some acknowledgement of the security considerations for the farmers concerned. He said he personally has no issue with someone going into a Department of Agriculture Office or a Teagasc office and outlining their reasons for knowing what farmer ‘X’ received in his or her Basic Payment. But his organisation had a major problem with a publicly accessible website or list that gives the name, address and amount paid to individual farmers in an environment where it was common knowledge that there are criminal elements that deliberately target rural residents. Mr Comer pointed out that all this will happen against a background of the closure of rural Garda stations. He said it was not unreasonable to ask why certain people would want to know what some farmer living alone in a remote part of the country were receiving. He said that ICMSA don’t object to the listing of the payments but wanted some degree of supervision of who is accessing that list and why they are accessing that list.